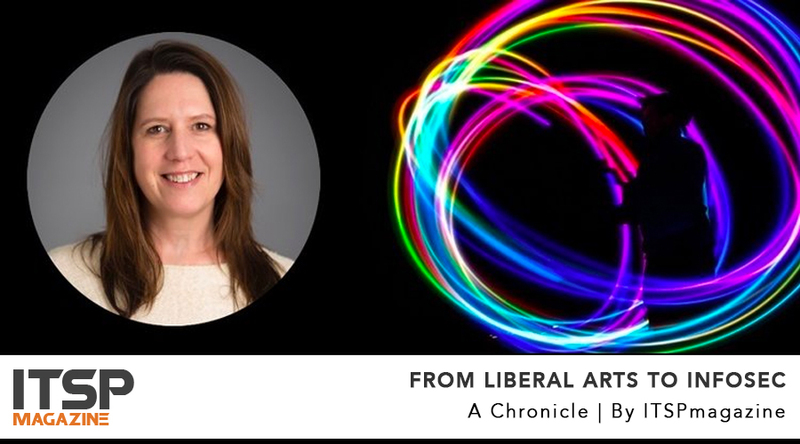 Theresa Abbamondi, Director of Product Management for Arbor Cloud and Services at NETSCOUT, chats with ITSPmagazine's Selena Templeton about how having a diverse background — in this case, liberal arts — has helped her tremendously at Arbor Networks, the security division of NETSCOUT. This podcast is all about diversity, and the hot topics in that context are generally gender and race. But, of course, diversity is so much more than that. And that includes different backgrounds, different perspectives, different ways of thinking or learning. Which is why I’m excited to have Theresa on Diverse IT. She came to product management and security rather circuitously — she has two degrees in political philosophy and intended to get a PhD and become an academic. While her background was not in a STEM field, Theresa believes her ability to write coherently, to think critically and to approach problems logically — as well as several other skills — have transferred well and have ensured her success. She also talks about Arbor's Women on Their Way (WoW) mentorship program, which focuses on empowering young women to help themselves professionally. WoW has also served to highlight the unique challenges that women face in the tech and security industry and in general. Theresa invites those who are interested in learning more about the WoW mentorship program to email her at tabbamondi@arbor.net. Theresa M. Abbamondi is the Director of Product Management, Arbor Cloud and Services, NETSCOUT. She has been a successful product manager and strategist in the IT/Network security space for over 15 years, launching and growing major service offerings at Verizon, Symantec and NETSCOUT. Theresa has been with NETSCOUT's security division (previously Arbor Networks) for 4 years, successfully leading the go-to-market of its DDoS cloud mitigation solution, Arbor Cloud. Theresa thrives on her continued dedication to translating the voice of customer demands into market-leading solutions. Her education background is in political science, having earned a Master's degree from the London School of Economics and Political Science (LSE). Find NETSCOUT on Twitter and LinkedIn. Learn more about NETSCOUT here.